Lifeguarding is generally a foundation for a career in the leisure industry or a part time job for students. Often lifeguards are perceived to be ‘boring’, ‘fun spoilers’ when actually lifeguards are preventing accidents and educating pool users, especially children, how to enjoy the water but remain safe! Pools have similar rules and some rules which will differ depending on the pool design, session activities and level of supervision from other qualified persons, such as swimming teachers. 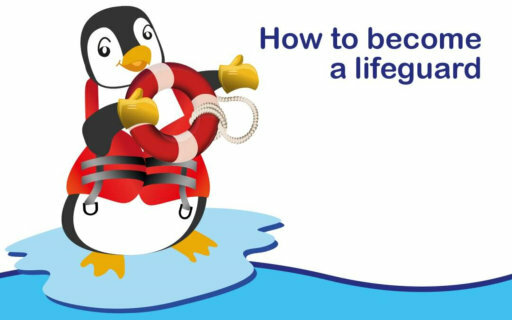 Presenting yourself as a lifeguard in a professional manner and being able to quickly analyse situations is a necessity to effect actions which have positive outcomes. For example, simply asking a child to hold onto the side during a lesson educates the child a safe area and prevents the chances of them just letting go. Similarly, asking swimmers not to dive in a specific area of the pool is preventing potential injury which could be minor or major. Using the latter example, lifeguards could use alternatives, for example, asking swimmers to dive in the deep end rather than shallow ends. Firstly, visit http://www.rlss.org.uk/professional-qualifications/national-pool-lifeguard-qualification/ to read all pre-requisites, current course content and examination information. The Royal Lifesaving Society (RLSS) are the governing body for the National Pool Lifeguard Qualification (NPLQ), linked above. Generally courses run through various providers such as private swim schools, leisure centres and clubs during school holidays. You can apply for jobs, however always maintain your monthly training to enable you to renew your qualification every two years. Often employers require employees to have the National Pool Lifeguard Qualification or teacher rescue when becoming a swimming teacher. If you are a qualified lifeguard and you are looking for hours or to progress your leisure career, contact Core Aquatics today http://www.grasshopper-hosting.co.uk/coreaquatics/swimming-jobs/ . Alternatively email nicole@77.104.129.183 or call 07505065184. We are an enthusiastic team that deliver high quality swimming lessons – lifeguards are an asset to us and we would love to value your lifeguarding and personal contribution!